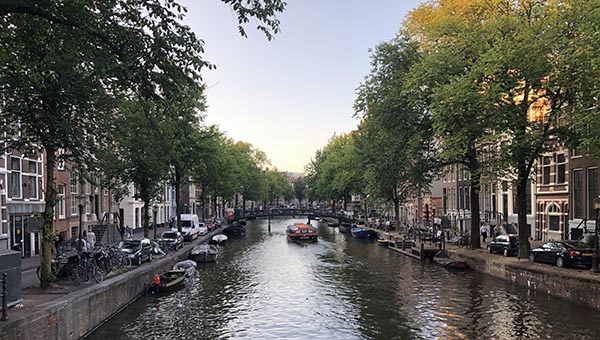 MEP Associate Director John Bell recently spent two days in Amsterdam working with an international team of video annotation experts to help develop a common format supporting data exchange between tools used in a variety of disciplines. The workshop was convened by the Common Lab Research Infrastructure for the Arts and Humanities (CLARIAH), a Dutch program to create distributed research infrastructure for the humanities and social sciences. Dr. Bell discussed how MEP’s Semantic Annotation Tool uses the W3C’s Web Annotation (WA) format to transmit and store text and tags and helped map the broad array of tools represented at the workshop to an extended version of the W3C’s standard. Most of the video annotation tools currently in use pre-date the Web Annotation model’s creation and the most common tools often support discipline-specific methods and features that are not part of the common WA model. The goal of the experts’ meeting was to create crosswalks allowing annotation data to be imported and exported from these tools and allow researchers to make use of each tool’s specialized features during different phases of their study. For example, a linguist may study video of a conversation and mark it up in ELAN, but when they go to publish their work they may use Waldorf.js to display their annotations on a web page. Other tools may offer sophisticated machine analysis, object and action identification, or discipline-specific ontologies. Following the meeting in Amsterdam, the group has drafted an implementation of the Web Annotation model that accommodates each of their applications and will work on refining and implementing it moving forward.